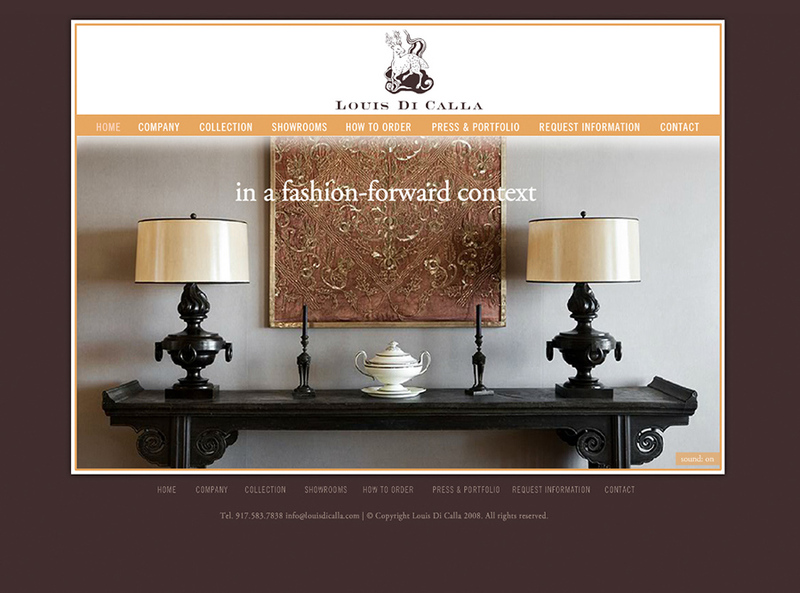 Sophistication in lighting is defined by Louis Di Calla. 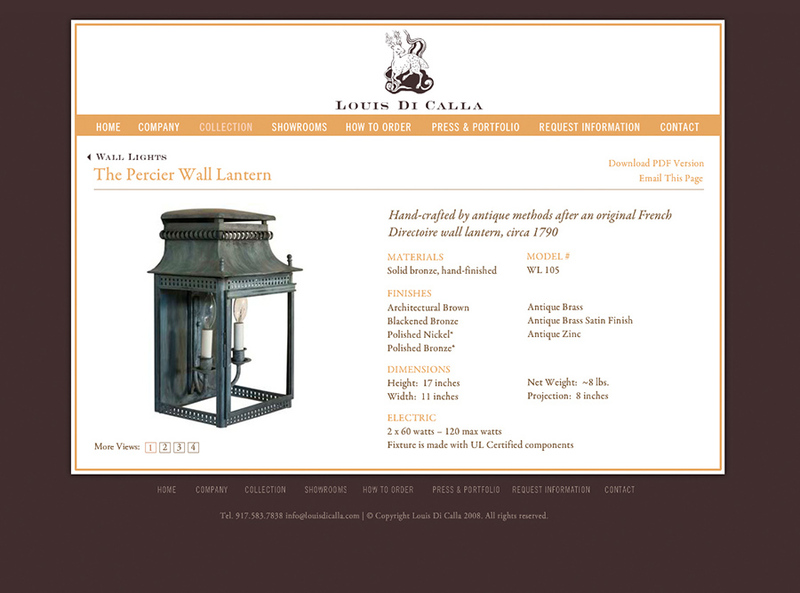 This simple, elegant site acts as an online catalog and branded presence for these fine collections of high-end lights fixtures. 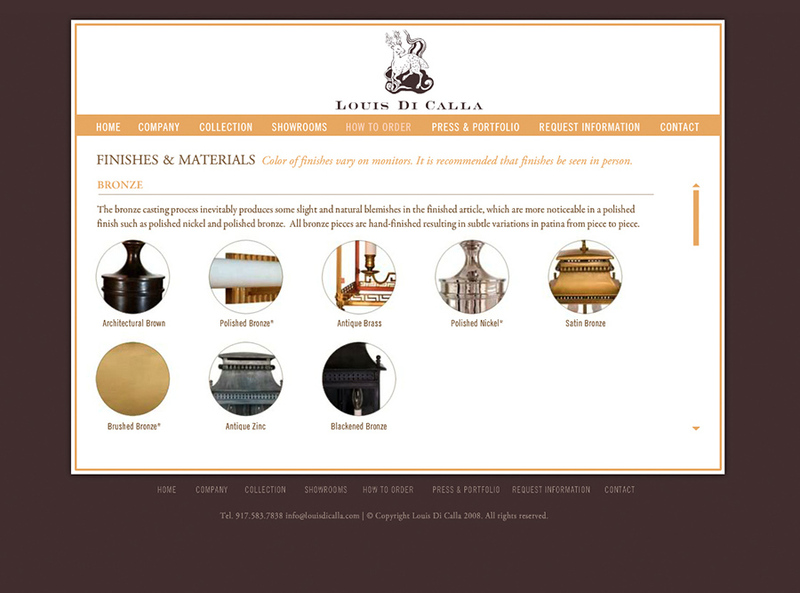 Created in Flash, with subtle animation and music that truly sets the tone for the sophisticated brand. Insite designed, animated, and developed this web site.